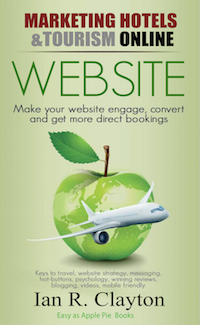 This is how to market hotels and tourism book. It is filled with great tips – Its about to be launched and its the second in the series on online marketing books by Ian R Clayton. Check out the You tube link above to get all the details and contacts for this book. There are of course some great bonus to those early birds who register for the book now. And exciting new bonuses for those who register right now.